The iPad 9.7″ did not get an update, nor did the iPad Pro 12.9″ or iPad Pro 11″ models. These should be great iPads for many people. 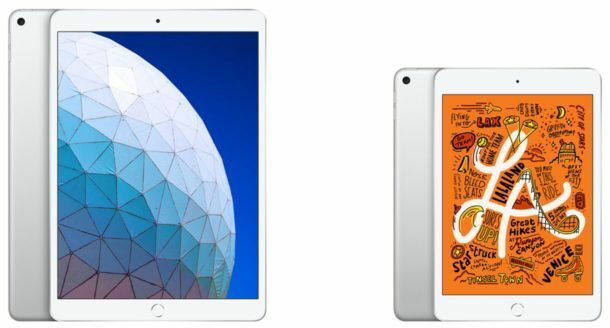 Now if you want my personal opinion (and I’m sure you don’t but I will share it anyway), the standard iPad remains arguably the best deal in the iPad lineup given that it’s very capable and routinely discounted on Amazon to $250 for the iPad 32GB model in any color, down from the $329 retail price. Amazon often discounts iPad models and other Apple hardware too, and if you’re in the market it’s certainly worth checking their prices. 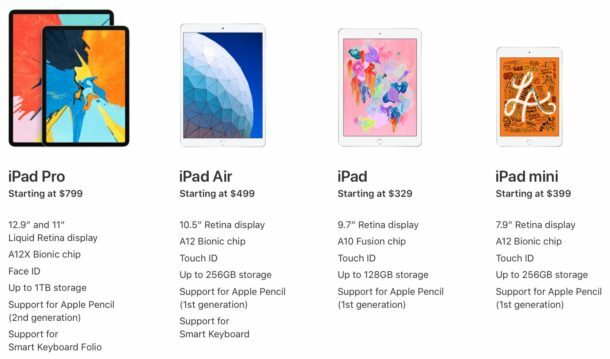 I would have bought a new updated 9.7″ iPad for $250-$300 if it had Pencil 2 support but that’s about it, I hope they update that soon. Why they do a Pencil 1 and Pencil 2 is all confusion to me, standardize and simplify! 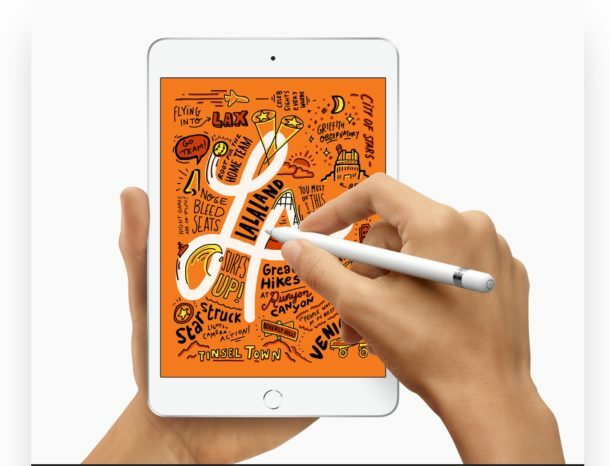 Well the pencil 1 needs to be available to existing owners of the 6th gen iPad and the first iPad Pro generations. As to why they made new iPads with support for pencil 1, Apple never immediately brings the latest design to the middle or lower tier iPads. Look how long it took them to come up with a non-flagship 10.5″ iPad (roughly two years), which is still in the middle tier and not the lower tier where they still have last year’s $329 iPad-Air-1-style 6th gen iPad. They can’t make all iPads compatible with the 2nd gen pencil because that requires significant hardware design changes, and greedy Apple never makes such changes to the middle or low tier models; hardware updates are only for the flagship models. Not to mention that existing iPad users couldn’t update their hardware be compatible with the gen 2 pencil either. Likewise, the newest models couldn’t be made compatible with the 1st gen pencil because they no longer have a lightning port, plus those users wouldn’t be interested in the 1st gen pencil. They’d likely prefer to simply buy the 2nd gen pencil. I would assume it’s because those cheaper iPads don’t support the wireless charging required for the Apple Pencil 2. Thanks Apple, I literally bought a brand new iPad Mini two weeks ago, just outside the return policy of 15 days. Don’t fret…I’m using an obsolete iPad as a cheese tray. That was your mistake, not greedy Apple’s. The rumors were out there for several months that Apple was planning to update the mini. You should have waited a couple of weeks longer.